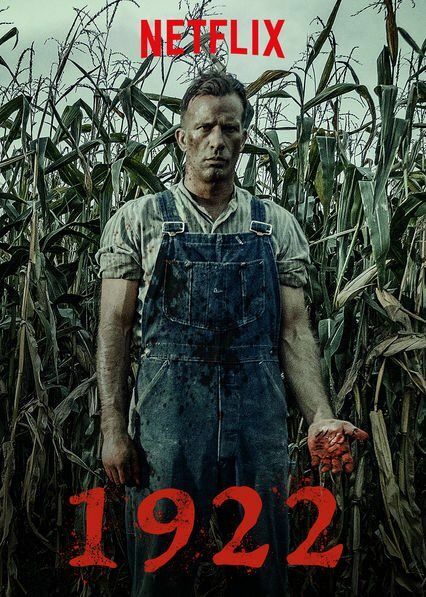 1922 is yet another Netflix exclusive horror film, this time around it is based on one of Stephen King's stories; a novella in fact. I am quite hit and miss when it comes to the work of that author, but I can't deny he has some great ideas. 1922 is not a happy film in the slightest and boiling it down to basics it is just a cautionary tale about being careful what you wish for. Regardless this is so well made, and the time period used so effective that I found myself not so much liking this as appreciating it for a decent horror. I liked the central plot concept of Wilfred in the future writing a confession about his past crimes. It led a good degree of suspense as to what was going to happen as he often hints at what is to come. Many times during 1922 it goes back to him writing this letter, intermingled with him hearing the sounds of rats in the walls. Rats play a big part in this film with them being in many key scenes. For all the supernatural elements to be found here there is easily a case for it all being a personification of Wilfred's guilt. Thinking everything will be fantastic with his wife out the way instead we follow him as his life crumbles around him with misfortune after misfortune visiting him. Jane is amazing in the lead role here, he is the highlight in what is a pretty strong cast all around. His accent alone is enough, let alone the way he physically carries his character, the style of talking, and the way he shows his emotions, this is all strong stuff. Having only seen him in The Punisher previously I was surprised to see him able to do such a demanding role. The cast is pretty small but never really feels that way with quite a few characters who only have small roles to play in the story. The other main character was the son, but I was sad to see that as the movie went on he had less and less a part to play until for the final third it was pretty much just Wilfred on his own. None of these people are that likable, but the sense of them belonging in 1920's America is complete. The majority of the film takes place out on the farmstead and even then aside from a few corn fields all we see is the property of Wilfred. I'm sure this was due to budget constraints but it would have been nicer to see some other places, aside from a few close up interiors and exteriors we don't see anything else of this world. Sometimes the close camera angles and reluctance to do any panoramic views to make use of the countryside hindered the immersion. Aside from the psychological horror of having to live with the actions you have taken a lot of the physical horror comes from Arlette's spirit (that as stated may only exist in Wilfred's mind). There are some great shots of her, especially when she is first found with rats crawling around inside her, the special effects for this were great, made me feel a bit queasy. While the body count is small each corpse has its chance to shine with care done to make sure they look wretched. There are a few moments of traditional horror such as when the farmer is being haunted by his wife's ghost when he is all alone, but mostly it is the destruction of his once decent life that is the main draw. 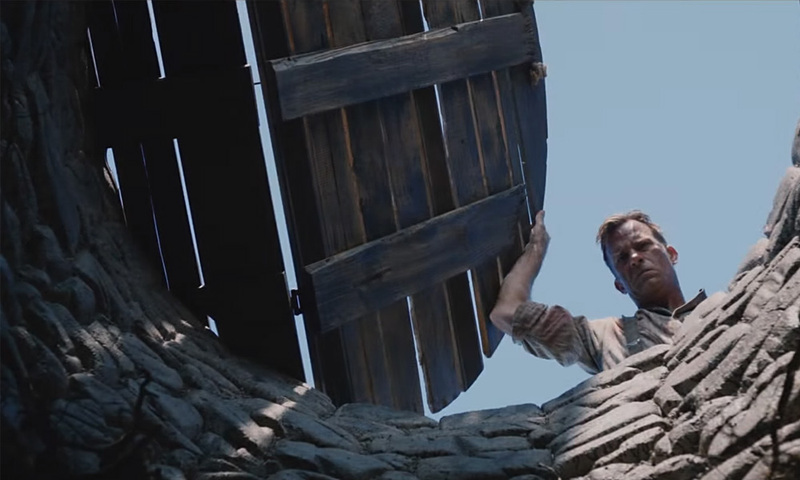 I didn't enjoy 1922 much, it was bleak and there wasn't enough thrills in it for me. However this is a very well made watchable film with some strong acting, and a great soundtrack (from Mike Patton no less). Coming from a horror enthusiasts view I appreciated the craft here, and the sense of cohesiveness that runs throughout.